BAYSM is a platform for M.S. 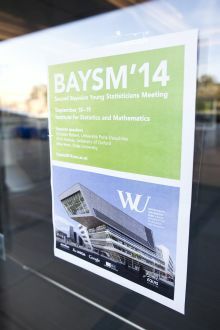 students, Ph.D. students, Post-Docs and young researchers interested in the field of Bayesian statistics to interconnect with the Bayesian community at an early level of their career. It is also an opportunity to get into touch with established senior researchers and start to build a network of knowledge. The platform aims at encouraging discussion and promoting further research in a wide spectrum of fields where Bayesian methods are employed. 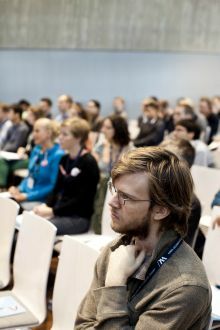 The Bayesian Young Statisticians Meeting is the official conference of j-ISBA, the junior section of the International Society for Bayesian Analysis (ISBA).